One of the best souvenirs. The pilgrimspassport. The official name is Credencial del Peregrino Santiago de Compostela. With this passport you grant access to the special albuerges, hostals. 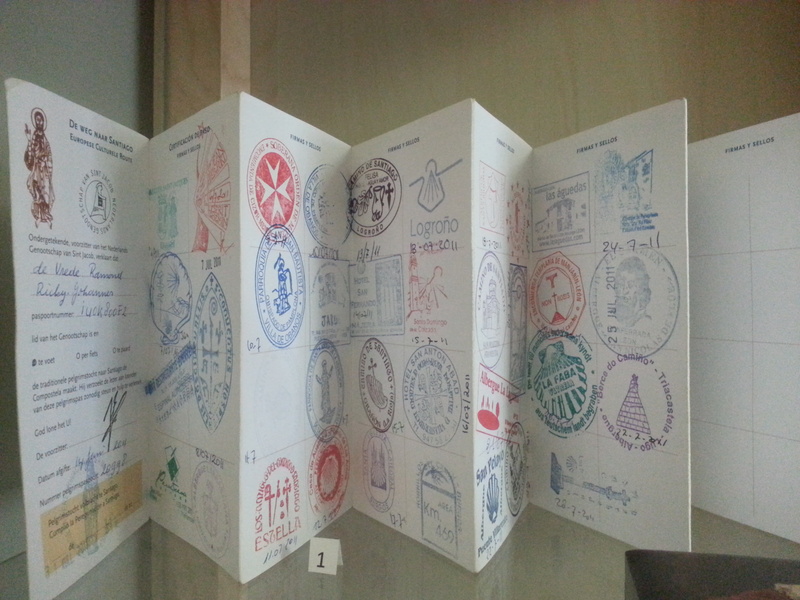 If you have enough stamps to validate you’ve walked more than 100 KM you can ask for a Compostela. The certificate. Because you take a stamp on several locations per dag you can see afterwards where you have been. When you are home and a time later you will realize where you’ve been walking on that day and remember the stories which come with them in which village you did what day.